There’s an amazing historic industrial collection of buildings in the heart of Aberdeen which comprises the largest group of A-listed buildings in Scotland – although alarmingly I’m informed fewer than there used to be. How does that happen? 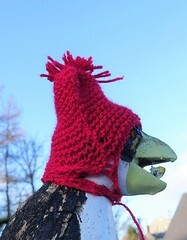 Enquiries please to Aberdeen City Council. This impressive maze of incredible architecture in red brick is distinctively un-Aberdeen – the city built of mainly grey granite and is the frequent victim of fire-raising. There was a plan to transform this large site into an urban village. It seemed a great plan. Across the road from Broadfords is another red brick building, a former store, which was very successfully developed as a block of flats, known as the Bastille. Surely the Broadford site would make a stunning and important architectural asset to the city and mark its contribution to Aberdeen’s industrial past. There is an owner, reputed to be the 12 richest man in Scotland and certainly very, very rich, Mr Ian Suttie. Now I don’t know anything about its owner Mr Suttie so I went looking at newspaper reports from around the time he took over at Richards (Broadford Works) and some more recent ones popped up as I googled on. “More damaging, though, was the saga of Richards of Aberdeen textiles, which he (Mr Suttie) bought when it was on the brink of receivership in 2002, moving it from city-centre Broadford to a heavily subsidised site at Northfield on the outskirts of the city. However, the company collapsed in November 2004 and 196 workers, many of whom on low wages, lost their jobs and pensions and received little or no redundancy. Although Suttie was not solely to blame (the pension fund was in a parlous state when he bought the company and by 2004 was £5m in arrears) the former Richards workers’ received an average payout of £3,500 each from an employment tribunal. 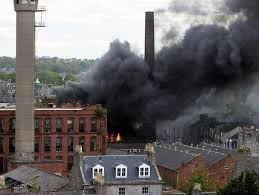 In 2002 a consortium headed by businessmanIan Suttie bought over the Richard’s factory on Maberly Street, Aberdeen when it was about to go into receivership. Within two years the business had shut down throwing 200 employees out of work, some of whom had spent their entire lives working at Richards. That was bad enough but the first any of the workforce knew of being made redundant was when they went to withdraw their pay and discovered it hadn’t been paid into their bank accounts. They had been told nothing about the factory closing. There were also real concerns for their pensions for it was public knowledge there was a large shortfall in the fund. and he demanded answers from Ian Suttie who declined to talk to the union. 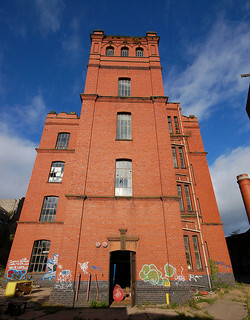 The 200 year old mill had been a major employer of Aberdonians, once the largest single employer in the city, it was built in the area known as Broadford, and the first manufactory opened for business in 1808. 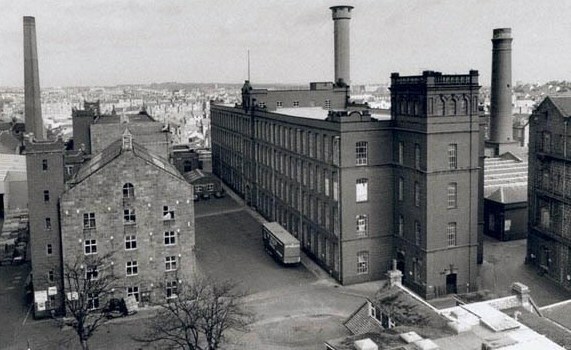 With its closure ended Aberdeen’s textile production. When it suddenly closed Aberdeen City Council’s head of economic development, Rita Stephen, described its closure as, “disappointing”. There were people in Aberdeen who recognised this site’s importance just not anyone in a position to do anything about it, it seems. Sir John Maberly, whose name lives on in the street on which the old mill lies, was an entrepreneur and speculator. 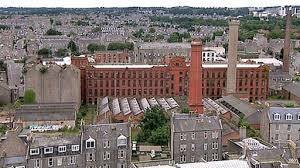 When he bought over the factory in 1824 it was Scotland’s second power loom linen weaving factory. Almost immediately he sold it to Richards & Co. who used it to produce heavy canvases and similar products were manufactured ever since. Richards was an important and major employer – including from among my own family. Precious little is preserved of Aberdeen’s very varied industrial heritage, partly because the city has been run by people with little grasp of history and even less interest in it. There is scarce pride in Aberdeen of the lives and occupations which shaped the city, instead there is only enduring ignorance and a desire to replicate other places in preference to preserving what is unique about Aberdeen. The plans for the urban village appear to have fallen through because no agreement could be reached over the precise arrangements for the development. 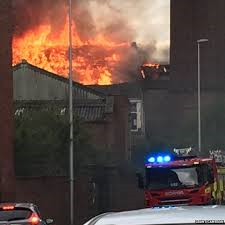 Since 2009 an increase in the incidences of fire-raising in Richards led to a risk assessment survey in 2012 that highlighted potential hazards and a Dangerous Building Notice was served on Mr Suttie for protective work to be carried out. “Tycoon thought fraud inquiry ‘a nuisance'”. At the time Mr Suttie’s former employees at Richards were continuing their desperate struggle to recover something of the pensions they had paid into for years. Hopes to alleviate something of their loss of wages and pensions rested with the then Blair government but it showed no sense of urgency to deal with their claims for assistance. “Richards has been paid a substantial portion of the £2.9million it was owed by another company which bought some of its assets. It emerged in the same report that Scottish Enterprise Grampian had paid over £127,000 of public cash to Richards in 2003-04 and Aberdeen City Council provided over £1million in grants and for buying premises for the firm to lease smaller out of town premises. The same newspaper mentioned that Mr Suttie was believed to have spent in excess of £10million on the Richards venture. The same newspaper had the previous month reported on Mr Suttie’s other business interests. “Mr Suttie, 59, holds 18 live directorships of trading companies, but he is reticent when it comes to speaking to the press about his ventures. He has not commented to date on the Richards’ liquidation. “Mr Suttie is chairman of a holding company called Arnlea, whose subsidiaries included Richards, Inverurie-based technology provider Arnlea Systems and Aberdeen bar Enigma. “Arnlea accounts for the year to the end of April, 2003, showed pre-tax losses of nearly £2million. Mr Suttie also owns independent energy operator First Oil, which had pre-tax profits of £199,000 that same year. Despite the city’s triple-lock of government party MPs nothing was going well for the former Richards employees. The liquidator brought in to wind-up the company told the press he was surprised at the delays the workforce had to endure without even an acknowledgement of their claims by the government’s Redundancy Payments Service far less a payment by them for those wages they did not receive from the company. Normally applications were acknowledged within 5 working days with payments following within 6 weeks. The Richards’ former workforce were about to embark on years fighting for their pensions. 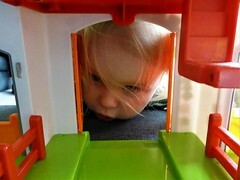 To try to get owre a’ their ills. Jist ane o’ John Bendelow’s pies. Mr Suttie was awarded an honorary doctorate from the University of Aberdeen in 2012. I have no idea what will happen with what remains of Broadfords site. Any more delays in transforming it into something beautiful and extraordinary for future generations of Aberdonians would be an outrage and disgrace. What we have here is an example of what is so wrong with land holding in Scotland and why it is imperative that communities, urban as well as rural, should be able to influence what is theirs and our shared heritage.